Our latest matchday programme cover puts Norwich City’s home ground in the spotlight with an eye-catching image of Carrow Road. Football stadiums are often described as churches for the fans, bringing them all together in one place to pray for good fortune! They also become architectural landmarks within the local area and while the external structure of Carrow Road has been altered and upgraded over time, the iconic goals and glorious moments inside the stadium will forever last in supporters’ memories. The cover artwork has been produced by local artist Rebecca Pymar, who has created a colourful illustration of a spectator’s view from inside Carrow Road. 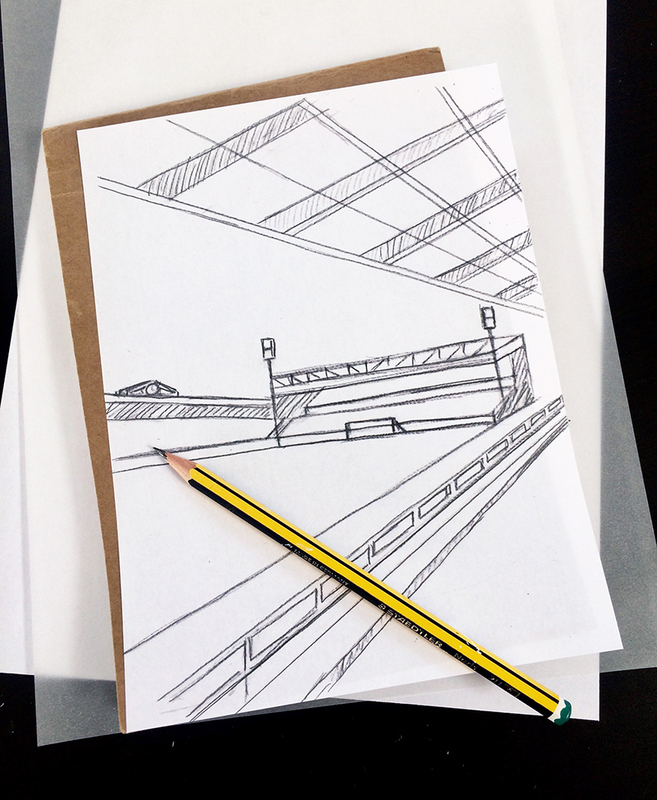 Rebecca is known for creating distinctive images based on landmarks and the built environment and we think she’s captured the detail, perspective and character of the stadium really well and produced a timeless piece of Norwich City artwork. 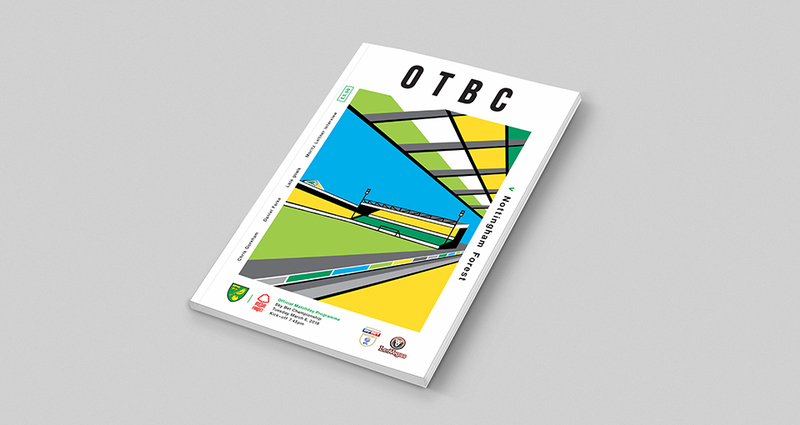 "My programme cover artwork pays homage to my love of colour, architecture, football and Norwich. I chose to focus on the stadium as it lends itself well to my style with the sweeping perspectives and vanishing points between the pitch and the stands. I adopted minimalist styling for this piece, picking out Carrow Road’s iconic clock as a focal point. I wanted to achieve a sense of intimacy within the artwork with the roof of the stand sweeping over the top, as if you were sitting right inside the stadium. My pieces start out as line drawings on paper. I use photographs and rough sketches to help me develop the compositions, often exaggerating the perspective. Once a composition has emerged I work it into either a canvas painting with acrylic paint or a vector illustration like this piece. I’ve really enjoyed working on the project and thanks so much to Patterns of Play for inviting me to be involved!" To celebrate the artwork further we have released a limited edition run of prints, hand signed by the artist and available to buy now from our online shop.